As a realtor in Burlington County, NJ we are experts in finding the most appropriate housing environment for all of our customers. Not only are we dedicated to finding a listing that meets the needs of our buyers, we are also dedicated to providing the best opportunities for our investors. As one of our investors, we understand that you are putting your trust in our company’s ability to sell not only turn-key homes, but repossessed and foreclosed properties as well. By providing services to the South Jersey area for over two decades, we have been able to gain a vast amount of knowledge about the area and its people. With that being said, we are confident we can gain your trust and satisfy your needs as an investor and the needs of home buyers. With that amount of experience you will be dealing with the best Burlington County real estate agent around. We realize that each investor’s goal is different and we’re willing to work with you to reach your short- and long-term goals. Whether you are a first-time investor or a seasoned professional, a small company with a couple of partners or a large group of investors, our agency is more than capable of handling the work. We have the experience, knowledge, resources and professional real estate agents to work closely with you on each and every deal. There are 40 municipalities in Burlington County resulting in a large offering of lifestyle and housing options. To that end, we have a database that includes the MLS listings for the area’s homes for sale and properties throughout the South Jersey area. With our realtor team by your side, you will have success obtaining foreclosed homes and repossessed property. According to recent data, one in every 584 homes is being foreclosed on in New Jersey. Homes that are in a pre-foreclosure status can be purchased directly from the borrower and/or owner of the home by offering to purchase the property outright. This is often a good idea for the borrower/owner and the buyer. It gives you plenty of time to research the title and the condition of the property before making a decision and further – on the money side of things – you will more than likely see discounts of 20 to 40 percent below the current market value. Another option is purchasing during an auction, which occurs at the end of the pre-foreclosure period. You will be able to bid on the property you’re interested in at a public auction. A possible downside for some when buying through an auction is you will be required to pay in cash and will most likely not have enough time to research the title and the condition of the property before you finalize the purchase. However, there are a couple of definite positives in this scenario: 1) You will find some of the very best bargains, and 2) You will be able to bypass dealing with the owner/borrower. The lender of a property can take ownership through an agreement with the owner/borrower during the pre-foreclosure process or at a public auction, and they’ll want to recoup the unpaid loan amount. They will normally clear the title and do any repairs and maintenance deemed necessary and then they’ll be available for purchase. The bargain is normally less than an auction or pre-foreclosure property. This is how the property becomes available for purchase by investors. This is a good avenue for you to pursue if you want to forego dealing with individual homeowners and are resistant to the idea of an auction. There are also other reasons why buying a bank-owned property is the best option for you. It’s possible you can avoid the responsibility of unpaid property taxes, you’ll be able to have the home inspected and you will often get an exceptional deal on the property. It is also possible for the sale to be or become a government foreclosure. You will then deal with a government agency when buying a foreclosed property. Two government agencies that often involved in these deals are the Department of Veterans Affairs and the Department of Housing and Urban Development. To avoid any pitfalls while pursuing this type of sale you will work closely with our Burlington County real estate agent to ensure you gain access to great properties and get the best deal possible. We understand you may want to pursue the lowest priced property that you can, but we caution our clients to also consider the amount of work and money that will be needed to restore the house and property. We want to ensure your complete success when choosing a realtor in Burlington County, NJ. Currently, our company has listings of an array of short-sale and pre-foreclosed properties that are ready for you to view. We want to be your go-to Burlington County real estate agent and help ensure the proper outcome for all of your investments. We recognize that there are a variety of unexpected events that can happen when taking interest in foreclosed properties; that is why we are so committed to trying to help all of our investors anticipate any circumstance. As your realtor, we are able to provide our investors with as much information as possible upfront. We are the best Burlington County real estate agent around and we want to ensure that all of our investors become the very best too. If you are considering investing in foreclosed properties in New Jersey, a Cherry Hill Realtor, such as us, can help you find quality properties that carry the least amount of risk. Although foreclosure investing can be highly profitable, the practice is not for everyone. There are a lot of things that can go wrong in real estate investing, so if you don’t know what you are doing, one disastrous experience could clear your bank account and your excitement for the process. In the real estate industry, foreclosures are called “distressed” properties. There are basically three ways to go about buying distressed properties. Pre-foreclosures – These properties have delinquent mortgages but have not gone to auction yet. Foreclosure auction – Properties in a foreclosure auction are sold to the highest bidder. Real Estate Owned (REO) – Properties that don’t sell at auction are returned to the lender, who can then sell the properties themselves. Depending on which way you end up purchasing a foreclosure property, you may or may not have the services of a realtor in Cherry Hill, NJ to guide you through the process. Buying REO carries the least risk because it is similar to a normal sale, however, you might not get a seller’s disclosure. In New Jersey, lenders selling real estate owned properties do not have to provide a seller’s disclosure. The best thing to do in this case is to have your Cherry Hill real estate agent do their best to find out as much detail about the property as possible. If you have done all your homework and understand the risks involved in real estate investing, you probably also know that you can get some pretty nice REO or “bank-owned” properties at highly discounted prices. There are several reasons buying REOs is a good thing. No homeowners to deal with. You work directly with the bank. When you purchase an REO, you don’t have to worry about tenants who are reluctant to leave, distraught homeowners or angry owners who threaten legal action. Furthermore, you don’t have to deal with emotional property owners who won’t negotiate for sentimental reasons. No outstanding taxes. As an incentive for people to buy REOs, most banks waive any outstanding property taxes the previous owners may have neglected to pay. Just to be safe, though, ask your New Jersey realtor about doing a title search. Home inspections are encouraged. Unlike buying distressed properties at auction, you have the opportunity to inspect REOs before closing the deal. Because these properties are distressed, the previous owners might not have kept things up-to-date or even livable. Major repairs may be necessary. Low, low prices. As we mentioned before, buying a bank-owned property can save you a lot of money. Many of these homes sell for way below market value, which makes them highly suitable for investing. Having said this, distressed homes may require a lot of repairs that could make the super-cheap price you bought it for nothing worth mentioning. It is best to get a home inspection before making any final decisions. Tip: Consider using a real estate agent in Cherry Hill, NJ when buying bank-owned properties in that area. Negotiations go much more smoothly when you have a professional on your side that understands the unique nature of foreclosures to guide you through the process. When it comes to investing in real estate, the stakes are high. Your money is not a pawn in some game that can be toyed with at will. You need a professional that knows the real estate market in Cherry Hill, and that person has to have a working knowledge of foreclosures as well. You need the best real estate agent Cherry Hill, NJ has to offer, and that is me,Roxanne Ardary of South Jersey Real Estate Agent. I have been in the real estate business for more than 20 years, and since I began as an investor many years ago, I have a fond appreciation for the practice to this day. The whole process touches me on an emotional level because, lets face it, buying and selling properties is an emotional rollercoaster ride. I approach my clients as a friend who is there for them through the entire buying and selling process to answer questions and offer guidance as best I can. Whether you are a beginning investor or an old pro, I work hard to ensure the buying process goes as smoothly as possible. No one likes bad experiences, so I’ll work with you to avoid them. Remember, real estate investing is not for the faint of heart, so be sure you do your research and learn all you can so you know what you are getting into. When you are ready to begin looking in the South Jersey area for distressed and REO properties, give me a call at (856) 857-2219 to discuss the options available to you in the Cherry Hill area. I cannot wait to help you realize your dreams of buying and selling properties for a profit. Thanks for visiting and be sure to check our website often as we update new listings weekly. New Jersey has plenty of real estate investment opportunities if you know the right places to look. Marlton and Evesham Township offers several different options that can help you grow your portfolio. Whether you are wanting to flip single-family homes or are hoping to earn some monthly income by renting out a condo or townhome, you will be able to find the property you are looking for in this charming location. This area is perfect for investors because there are plenty of luxury homes and new construction, yet there are still low-priced foreclosure and repo properties available. You can find an excellent home surrounded by rich communities, parks, and more. Working with a New Jersey real estate agent can help you find the most profitable properties in an ideal location. Even if you are trying to sell your home, condo or townhouse a real estate agent can help. Agents selling homes in Marlton, NJ can add your property to a database to help it get seen by buyers. The agent can also help give you tips and information on how to present your property to the buyer. Many of the people selling homes in the area see success just by making a few small changes. Our website features some of the best properties for sale in the area. Both investors and traditional buyers alike turn to us when they want to see the newest Marlton real estate listings available. By having an established website, we are able to help sellers gain the exposure they need to make a sale. Find the best properties in the area in just a few moments or post the details on your home for sale. As a Marlton, NJ realtor, our goal is to keep you up to date with new listings so that you can always find exactly what you are looking for. Use the Dream Home Finder form to get an updated list sent directly to your email. You’ll be able to clearly see homes in your price range, making it easier to find investment homes. If you are investing in Marlton real estate for the first time, it is important to understand the different neighborhoods and developments in the area. Each one is a little different and provides unique opportunities for investment. Marlton real estate New Jersey can vary by location and having an agent by your side can help you better select properties that meet your needs. When you browse our listings online, you can easily sort results by subdivision or neighborhood. Explore homes in areas like Ardsley Walk, Barton Run, Tara, Marlton Hills, Villa Royale and more. We have years of experience helping buyers and sellers come together in every neighborhood. With our experience, you can find a home or investment property in an ideal location. When you are buying an investment property, there are a lot of details that need to be discussed. You may need to fix up an area of your home for it to sell, or you may want to find the cheapest home inspector available. If you haven’t already made these contacts yourself, this can become somewhat difficult. Research takes time and money. If you are unfamiliar with the area, it can take even more effort to find what you want. Working with a realtor in Marlton, NJ who already has experience in these areas is a good idea. Real estate agents can use their connections to help you find reliable resources within the city limits. This helps you to save a ton of energy and focus more on your investment. Getting the best real estate agent Marlton, NJ has to offer may seem like a difficult task. The truth is that there are a lot of professional agents in the area that can help you. This means you need to research and assess the different agents in your area if you want to find the best one. Communication should be the biggest factor in your real estate agent decision. Buying or selling a home can be complicated, and you need to work with someone who you can talk with openly. You want to be able to talk about the issues that you have with your real estate agent Marlton, NJ. This will help you to clarify any misunderstandings about your purchase or listing. Keep in mind that reputation is everything to a real estate agent. You want to be able to work with an agent that has plenty of positive feedback. 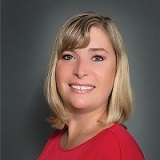 Roxanne Ardary has helped many investors find foreclosures and repo properties in South Jersey. Whether you are looking for a glamorous new condo or a single-family home, we can help! If you are planning on investing in South Jersey real estate, make sure you have the right people helping you. 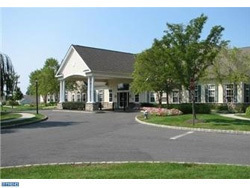 A real estate agent Marlton, NJ has to offer can help you get better investment opportunities in your ideal location. The buying and selling process can be easy with the help of an experienced, local agent. Contact Roxanne Ardary to learn more about local real estate investment opportunities and see just how easy it can be. Successfully navigating the real estate market can be tricky, especially if you have never purchased property for rental or resale before. If the idea of flipping foreclosure real estate in South Jersey sounds like an exciting option, check out a few of these tips so you are as prepared as possible before you make your initial investment. 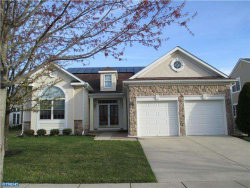 Purchasing property for sale in South Jersey has potential to be a great investment opportunity. You can make the odds even more in your favor, by avoiding a few of the most common pitfalls new investors make. Do not strike out on your own: A common mistake that new investors make is trying to get into foreclosed homes without the help of a professional. Purchasing foreclosed and/or bank owned homes is always at least a little more complicated than buying a traditional home. Extra paperwork, a longer wait and special financial requirements can make these transactions tricky for newbies. Do not forget an inspection: You should always have an inspection done on any South Jersey real estate you decide to purchase, and foreclosure homes for sale in South Jersey are no exception. In fact, it may be even more important to have inspections done on these homes. Bank owned homes likely already have had an inspection by the bank. Foreclosed homes probably have not. Even if the home appears to be in good condition, always hire a professional to inspect the home so you know what you are purchasing. Unseen damage can add up quickly. You do not want to squander all of your potential earnings on nasty repairs. Do not think short term: In most cases, a foreclosed home will likely decline in value before it increases. You can use this time to make repairs and prepare your reliable south jersey real estate for resale or rental. In addition, most foreclosed homes require some, if not a lot, of repairs. Think about the repairs needed and possibly declining values when making an offer on your investment property. Do not look everywhere: One of the most common mistakes new investors make is searching all over for properties. It may surprise you to know that there can be many foreclosed properties on the market. Instead of searching all over the state, pick one area and focus your efforts there. You will have more success because you can narrow your options to homes you are really interested in. If you think that you understand the basics of investing in South Jersey real estate, check out these tips to learn what you can do to make your investment more successful. Tour the home: Before you make an offer on any South Jersey homes for sale, always walk through the property. Reviewing inspection reports and photos can be helpful, but it does not give you the full picture. Check out the neighborhood, look at the surrounding houses and get a real feel for the home. Many experts recommend purchasing the worst house on the street of a nice neighborhood because you have a better chance of increasing the value of the home. If you do not check out the neighborhood, how will you know? Check out other homes: When you find a home that you want to consider as an investment check local listing or homes of similar size and location. Gauging how much homes of a similar style (maybe in better condition) are selling for will give you an idea of a range you can expect your investment property to be worth. This can help you make more educated offer on the home. Make a competitive bid: Purchasing foreclosed homes for sale in south jersey is a competitive business. Bidding too high on a foreclosed property could leave you running on fumes when the time for repairs come. However, if you bid too low, you may not land the property you love. Take time to look at other property, study the house and determine how much you will need to get the property in top shape. Then make a fair bid. Make a reasonable offer you can afford, without breaking the bank. Get preapproved for financing: One of the most important things you can do before investing is real estate is to have your financial ducks in a row before you hit the market. Preapproval gives you an idea for how much house you can afford and it shows banks you are prepared for the investment. Once foreclosures are approved they often more pretty fast. You may even have to prove you have the financial backing for a home before you can bid on it. Investing in real estate can be a profitable option for individuals willing to put in a little extra work. Though the purchase of these properties can be a little more difficult, working with the best South Jersey realtor can make the process easier for you. Call us today and let us help you find the perfect investment property. The beautiful suburban town of Mount Laurel, NJ is the perfect place to begin searching for your new home! Mount Laurel is 22 square miles big. In it's borders you fan find a variety of developments and neighborhoods offering single family homes, condos, and town homes for sale. It has about 41,000 resides you currently reside in Mount Laurel. Mount Laurel is also one of the most populated towns in Burlington County. 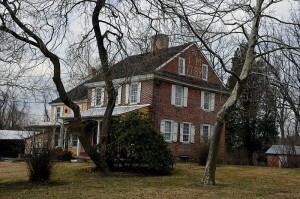 In addition the numerous housing options Mount Laurel has to offer. It also offers a number of recreation areas, numerous stores, many parks, good schools, and shopping. If you're hoping to find the perfect place to settle down in Mount Laurel, NJ I will be more than happy to help you with all of your real estate needs. Foreclosed homes are corner of real estate many people have heard about, but know little about. Foreclosure is when payments have stopped being made on a home, it's being repossessed, the home has been abandoned, etc. These homes and properties then become bank owned properties. Better known as REOs. There are a number of advantages to looking into purchasing REOs versus purchasing a property on the normal housing market. For one, REOs are almost always at discounted prices. This is one of the major reasons home buyers usually go for REOs. However, just because a bank owned property is lower than the marketplace prices. It does not mean you're necessarily getting a good deal on the property. Always be sure to check the prices of the surroundings homes when looking at a REO in the same area. This will give you a better idea of the price and whether you're paying appropriate amount of money for your bank owned property or not. Another aspect many people like is that they deal directly with the bank. It's natural for people to become emotionally attached to their homes. Especially if they have lived there for a long time. However, home owners you have a sentimental attachment to their home can make it hard for you get to get possession of the property. You may also end up dealing with home owners or former home owners making it hard for you to purchase the property as well. The bank has no sentimental attachment to the properties. In most cases you can also get outstanding property taxes waived on the property if it's a bank owned property. Banks do this as an incentive to get home buyers. However, always do a title search first. You should also always request an inspection of the property too. You have the option of requesting to see and get an inspection of the REO property before you strike a deal. This is highly recommended since the majority of REOs are not ready for people to move into. Serious work may need to be done on the property and you should know what you're getting into before purchasing a home. Now that you have this information to make an informed decision when it comes to purchasing your own REO property. Why don't we look at some of the prime real estate in Mount Laurel? This residential flat was built in 1988. It has two beds, two full bath, and the home size is 1,434 sqft. It's the perfect opportunity to own a good unit. It has a loft including the two spacious bedrooms. The loft can be utilized as an additional bedroom, office, or play area. The kitchen has also been upgraded with plenty of counter space and additional cabinets. The living room features a beautiful fireplace and a balcony that overlooks the grounds. The master bedroom has a bathroom and a walk in closet. It's conveniently located to entertainment, major highways, and shopping. An excellent residential flat that was built in 1989. There are two bed, one full bath, and the home size is 920 sqft. The condo also features upgraded cabinets, snack counter bar, ceramic tile floor, built in washer, and pendant lighting. The living room also has sliders to a concrete patio in addition to the neutral colors and upgraded carpet. The dining room features Pergo floors along with a light fixture/ceiling fan. There is a full stack dryer/washer in the utility room too. The master bedroom includes a walk in closet with light and a window bench seat. The second bedroom has an over sized double bi-fold closet as well. There is even an upgraded hall bath that include a door the master bedroom in addition to the hall entrance. Additional storage is available outside of the patio area. This condo is also close to shopping and major hallways! This spacious townhouse was built in 1979. It has three beds, two and a half full baths. The home size is 1,598 sqft so there's plenty of room to go around. This place does need some work, but is worth it. It's an end unit with a nice side and back yard. It's a short sale that does require a third party approval. Commission is subject to bank approval. These are only a handful of the properties available in Mount Laurel. Be sure to check the real estate listing for even more excellent properties! Cherry Hill Township is a beautiful place! It's known for its excellent location due to the bridges to Philadelphia, great schools, major roadways, and Cherry Hill Mall. At Cherry Hill Real Estate there are properties and homes for sale. There is everything from townhouses, luxury homes, condos, and single family homes. We are more than happy to assist you in finding the perfect home for you. 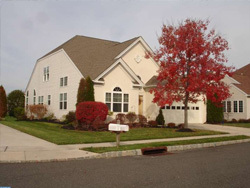 We have provided every real estate listing in Cherry Hill that is available in our MLS. Just feel free to browns to find the perfect home just right for you! There are a couple of benefits to purchasing a home on foreclosure. Also known as REOs these homes are owned by the bank. 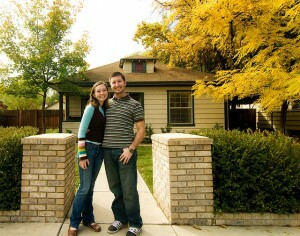 People may not always know how the benefits of an REO work or what it means to try and purchase these types of homes. Well, we have some information to share with you on the subject you will love. First off, the bank owns these homes. So when you decide to purchase one you deal directly with the bank. Home owners can sometimes be attached to their homes and even former home owners can press legal action against you. This can end up a bit messy. Banks on the other hand have no emotional attachment to these properties. They want them to be bought to cover their losses. Another great benefit is that you may not have to pay the outstanding property taxes on the property. Homeowners can default on these payments or stop paying them all together. In order to entice more buyers banks will usually waive the outstanding real estate property taxes that are due on the property. It's always good to be on the safe side in these cases though by doing a title search first. Another aspect that is great about REOs is the fact you can do a home inspection on these homes. You can request to see and inspect the bank owned property before striking the deal. There are homes that do need to be fixed up a bit. REOs are usually not move in ready most of the time. They're distressed homes and some of them do require serious work to be done to them. You can also purchase REOs at discounted prices. It's one of the biggest reasons people go for foreclosed homes in the first place. Always be sure to check though just in case. Just because the majority of REOs are below the market price does not mean you're getting a good deal. In order to make sure you're paying the right amount be sure to check the prices of the homes being sold in the same area. Now that you know a little more about foreclosed properties. Why don't we take a loot at some of the beautiful properties and homes on sale right now in Cherry Hill? This two story brick corner lot was built in 1949. It's had four beds, 3 ½ baths, and the lot size is 12, 180 sqft. 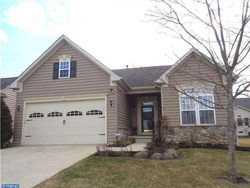 This gorgeous property is located in the prestigious Colwick Subdivision. It has a large living room with a wood burning fireplace. It also features a over sized dining room and a bright family room. Even the master bedroom is on the first floor with a stall shower and a Jacuzzi tub. It can also be used as an in-law suite. On the second floor the property features a MBR suite as well. The library or den has plenty of room to be a computer area. There is public transportation that is within walking distance. 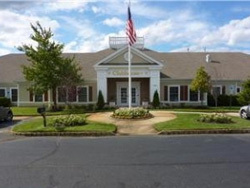 It's only a ½ mile to the golf course and one mile away from the Cherry Hill Mall. This is a home you want to have on your list when you're looking for the best place to live. This residential flat was built in 1950. 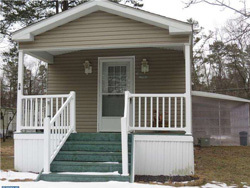 It offers two beds, one full bath, has a home size of 944 sqft, and the lot size is 4.51 ac. This is the perfect opportunity for any home owner to take advantage of. It's an affordable condo that overlooks Cooper River Park. It is only minutes away from entertainment, shopping, fifteen minutes from Philadelphia, and dining. It has a the beautiful scenic location in Cherry Hill. There is an excellent school system, full appliance packages, on-site maintenance, Condo Association covers water, community pool, hot water, snow removals, heat, roof, landscaping, parking lot/driveway, and common areas. This is the perfect place if you're looking to get some space when you purchase your property. This single family home was built in 1954. It has five beds, 3 ½ baths, a home size of 2,463 sqft, and a lot size of 9,800 sqft. This vacant property is very easy to show. It does need some work, but it's perfect as a family neighborhood. 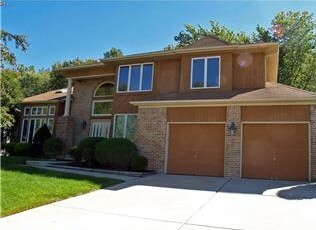 There is a lower level In LaW suit with kitchen, separate entrance, bedroom, L/R, and bath. It also features a partial finished basement with a bar and built ins. Could be a workshop or craft room on the same level. We hope you find the home you're looking in Cherry Hill, NJ!